A joyous coincidence of geography and geology has allowed Stamford to remain the "finest stone town in England", its prosperity drawn from the wool trade and its historical position as a mail coach inter-change on the Great North Road almost halfway between London and York. 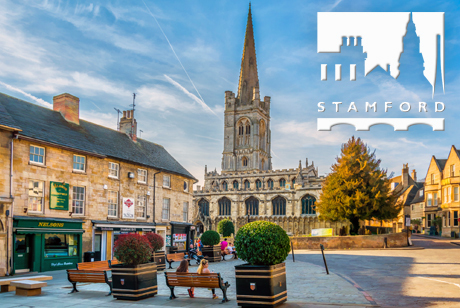 Stamford was the first town in the country to create a conservation area in 1967 and it has this to thank for the fact that over the subsequent half century much of its historical architectural heritage has remained intact. Naturally our visit takes place on market day.